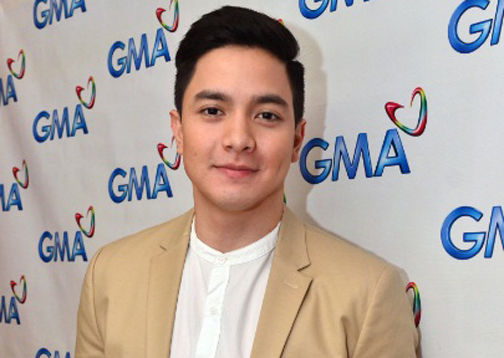 Award-winning Kapuso actor, TV host and singer Alden Richards never fails to pay it forward to the community. The Pambansang Bae, together with GMA Records General Manager Rene Salta, personally turned over a portion of his Adrenaline Rush concert proceeds to GMA Kapuso Foundation through GMAKF Founder and Ambassador Mel C. Tiangco and GMAKF EVP and COO Rikki Escudero-Catibog. Alden’s donation will help fund the rehabilitation of Camp Bagong Amai Pakpak Elementary School in Marawi City which is under GMAKF’s Rebuild Marawi Project. Thankful for the blessings he’s been receiving, Alden stays committed to help the less fortunate. “Isa rin sa mga sinisigurado namin na hindi lang kami nagco-concert para mag-perform and to entertain people, but we also do this para makapag-raise ng funds to help charity, especially GMA Kapuso Foundation,” he added. Meanwhile, young actress Kyline Alcantara also shared a part of her Kyline Take Flight concert proceeds to one of the beneficiaries of GMAKF. She has chosen to contribute to the rehabilitation of classrooms in different parts of Bicol, her home province. Kyline hails originally from Camarines Sur in Bicolandia. Kyline also encouraged the youth to extend their help to those in need. “Sana maging inspirasyon po ito para sa mga kabataan na tumulong pa,” she said.